Usha Poly Crafts Pvt. 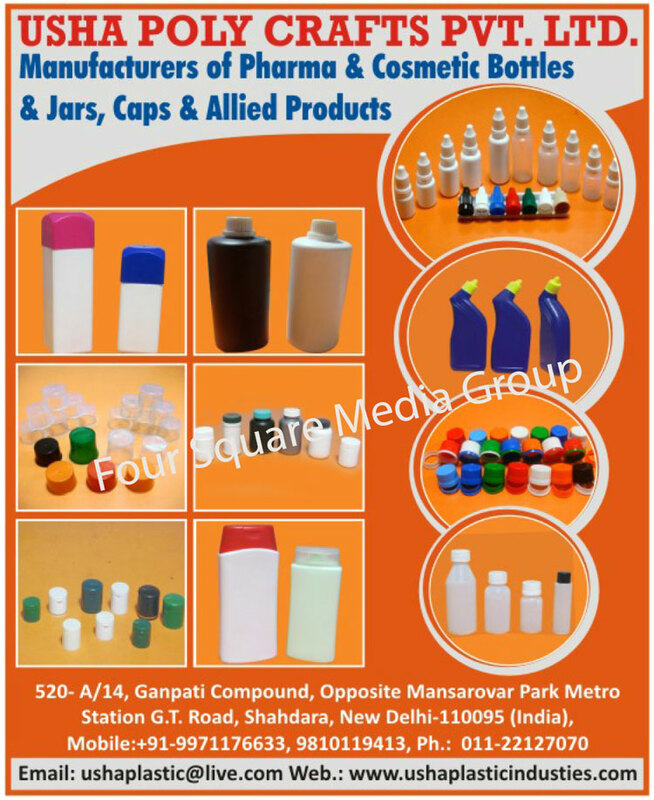 Ltd.
Pharma Bottle, Cosmetic Bottle, Pharma Jar, Cosmetic Jar, Caps, Allied Product as an active Manufacturer, Supplier, Dealer, Distributor, Trader and Seller etc. (*Importer/Exporter/Service Provider).